Looking for a simple refinance definition? Look no further: refinancing is simply the process of taking out a new loan to replace your old loan. People usually refinance when there is an opportunity to save money over the long-term, such as when there are better terms available for a loan than were available when they first took one. Another reason someone might refinance is if they want to change the terms of their loan, such as switching from a fixed-interest rate to an adjustable interest rate. This article will explain the basics of refinancing and how it works. We’ll take a deeper look at the refinance definition given above and the refinance process as a whole, who might benefit most from refinancing, the best way to start the process of getting one and offer some tips and tricks for making the most of it. A refinance definition is literally “the process of financing something again.” The original loan is paid off using money from the new loan. People generally refinance their home mortgages, but you can find refinancing deals for other big ticket items too, such as automobiles, RVs, or boats. For example, let’s say you took out a home mortgage 15 years ago when interest rates were five to seven percent. It would make good financial sense to refinance now when interest rates are hovering around four percent. Why? Because over the life of your loan, those two to three percentage points will shave thousands off of your bill. By refinancing, you can save a huge amount of money over the life of your loan and, if you extend the length of the time left on your original loan, get a lower monthly payment to boot. After understanding the refinance definition, the easiest thing to consider when determining whether or not refinancing is a good decision for you is the prevailing interest rates. As explained above, it usually makes good financial sense to replace a loan that charges 7 percent interest with one that charges 4 percent. You have a higher credit score now than you did when you opened your first mortgage. With a higher credit score, you can command better terms. You plan on staying put. Since you can plan on paying between one and two percent of the loan amount in fees, if you plan on refinancing or taking out a new loan again in a few years (such as purchasing a new house), it makes no sense to refinance presently because you’ll only have time to pay down the fees before you start all over again. You want to free up a big chunk of cash. If you have equity in your loan – that is, if you owe less than what you originally paid – you can refinance at a higher price and take the difference as cash. This can help you pay down other debts, or you can use the money to do other things, like make home improvements. You want to save money on a month-by-month basis. By extending the length of your loan, you can save money each month by having a lower bill. For instance, if your mortgage is currently $1000 per month but you can refinance and only pay $800, you now have $200 extra dollars every month to spend however you want. The act of refinancing is rather simple. You’ll essentially go through the same steps you went through when you first took out your loan, except in this case you’ll be using the new loan money to close out your original loan. First, however, you should figure out why you are refinancing. Remember the refinance definition from above. Is it to obtain a lower interest rate? Do you want to increase or decrease the length of your original mortgage? Did you get divorced or married and want to remove or add someone else from your loan? Do you want to cash-out and use the money for something else, like paying off a student loan, car, or home improvement project? Asking yourself these questions will better prepare you for meeting with a broker. With this prep work done, it’s time to find a good broker. You should start by asking your friends and family if they have refinanced to see if they have anyone to recommend. Failing that, hop on social media or other online message boards and read up about brokers in your area. Do some reference checks to be sure they’re reputable. Once sure you really understand the refinance definition, you’ll want to be sure your credit score is in good shape. You can get a free copy of your credit report from websites like AnnualCreditReport.com. If you can, pay off any lingering small debts such as small credit card balances, and do not sign up for any new credit cards or otherwise take on any new debts in the months leading up to your refinancing. This will ensure you receive the best possible terms on your new loan. Anything above 780 should get you the best terms. Shop around and get quotes from multiple lenders to get the best possible deal. This can save you thousands and thousands of dollars over the life of the loan. With multiple offers and a high credit score, you might even be able to command a better interest rate or see which lender will cut their fees the most in order to get your business. There are some downsides to refinancing, too. You should always check to see if your original loan requires you to pay an early payoff penalty. If it does, check to see what it is. If the penalty is more than what you’d save over the life of the new loan, refinancing isn’t worth pursuing. Instead, put your effort into paying the original loan off as quickly as possible. So, what do you think? 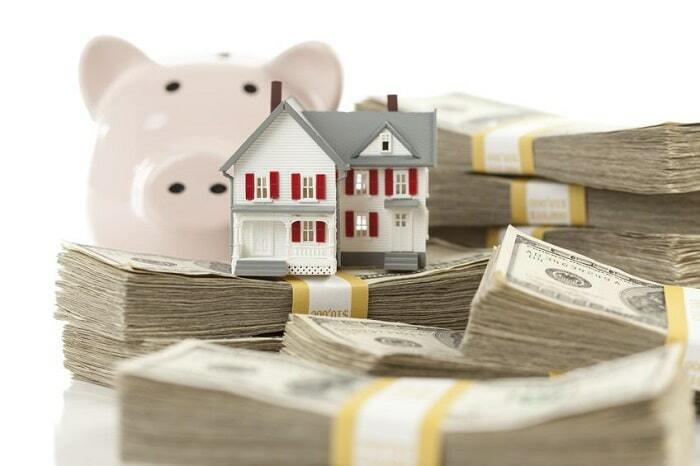 Are you in a good position to refinance or do you think you’ll wait a few years? Remember, interest rates have been historically low for the past several years and they won’t stay that way forever. Do you have any tips, tricks, or advice we missed? Do you have a better refinance definition? Let us know in the comments.